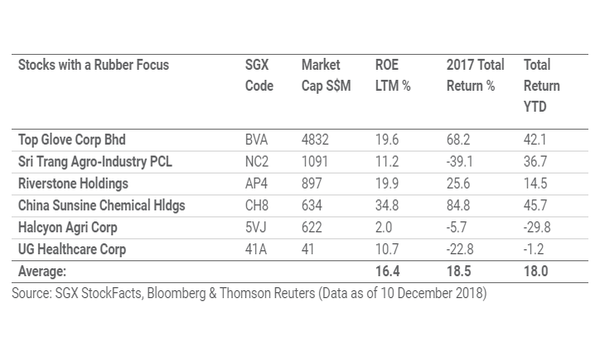 This chart from the Singapore Exchange (SGX) shows that rubber-focused stocks in the bourse saw an average return of 18% in 10 December YTD. China Sunshine Chemical saw the highest returns of 45.7% YTD amongst the six stocks. 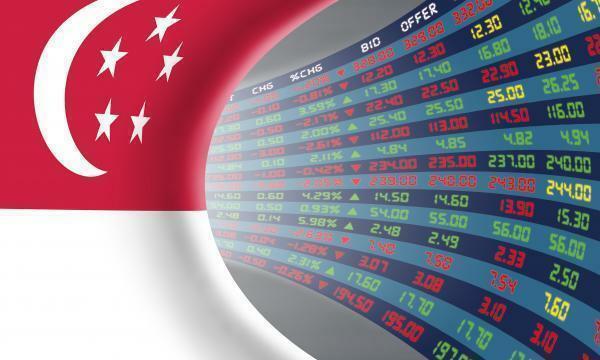 Four other stocks saw positive returns including Sri Trang Agro-Industry (36.7%), Riverstone Holdings (14.5%), and Top Glove (42.1%). Meanwhile, returns for Halcyon Agri Corp and UG Healthcare were recorded at -29.8% and -1.2% YTD, respectively. Meanwhile, the average return on equity (ROE) for the six stocks hit 16.4%, which ranges from 2.0% for Halcyon Agri to 34.8% for China Sunsine Chemical. In 2017, total average returns for the rubber-focused stocks hit 18.5%.